The report, released May 23, finds Kelly holds a 48-to-43-percent lead over Democratic nominee Ron DiNicola, but still suffers from low favorability ratings in a pro-Trump district. According to poll results, Kelly has a job approval rating of just 38 percent in PA-16 — compared to President Donald Trump’s 54 percent. Kelly has a 41 percent disapproval rating. Polling Analyst Jim Williams noted that while respondents in the poll were a Trump +20 sample, DiNicola, an Erie-based attorney, has “room to grow” in the district and remains a competitive candidate. “Thirty-two percent of voters view him favorably,” Williams wrote. “Just 14 percent (view him) unfavorably, and over half” still don’t have an opinion. Williams added that while the district shows strong support for Trump, that may not be the case come November. “Democrats have been outperforming the 2016 map by double digits in elections throughout 2018,” he wrote. The survey of 623 registered voters was conducted based on automated telephone interviews for DiNicola for Congress and shows 10 percent of voters undecided. There is a margin of error of +/- 3.9 percent. The fact that this race is close this early on shows that Kelly is a weak incumbent. Ron is a great candidate (as good as it gets for the 16th district) and the years of ignoring the Erie area will come back to bite Kelly. Should be a fun race to follow. This may be the high point for DiNicola, who has been a rising star in three different decades. Ron is amusing, but does a poor job of muffling his liberal inclinations in a populist conservative district. In 1996 he flamed out after being a top target with unlimited negative ads behind him, and the best he has done since is serve as a weak county Democrat chair, be floated for a judgeship, lt. governor and state senate-without much interest. Verdict- Kelly has to make a mistake, AND it will take more than a push poll to make this a close race. Let’s stop this whistling past the grave yard by saying every firm that posts wave like numbers for Dem’s is a Dem firm and the wave ain’t happening. It is going to happen and the question is how big. This Stormy Daniels media and all that Trump drams is going to hurt R’s big time. People are turned off by it. Indy’s will go Dem in 2018 causing the US House to go Dem. When the PASC gerrymandered Western PA in an attempt to create a Democratic seat in the 17th by carving out the only precincts in Butler county where Hillary topped 30% of the vote, they assured Mike’s relection in the 16th. No one here wants to see Nancy Pelosi with the Speaker’s gavel. 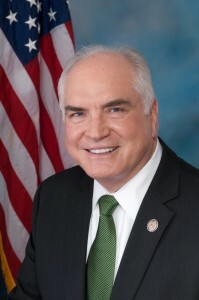 Mike Kelly will carry the district by at least 10 points. Qvitcher bellyachin’! Republicans gerrymandered the state and were so extreme that it was too obvious to get away with this time. Literally any map that was more fair was going to benefit Democrats, and the new maps still benefit Republicans despite the state casting more ballots for Democrats in every recent Congressional election. Stop whining and start canvassing if you’re so bent out of shape for Republicans getting called out for cheating. Would love to see Ron dump the Cement Head right on his head. Public Policy Polling (PPP) is a Democratic polling firm.